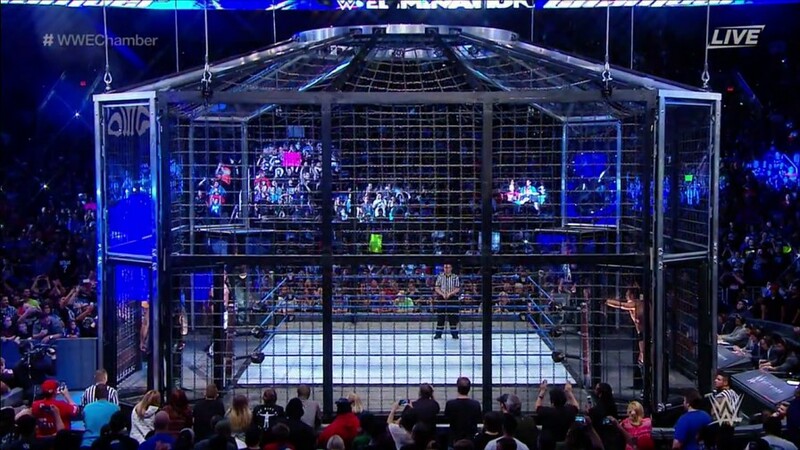 OSW Review | New Elimination Chamber! 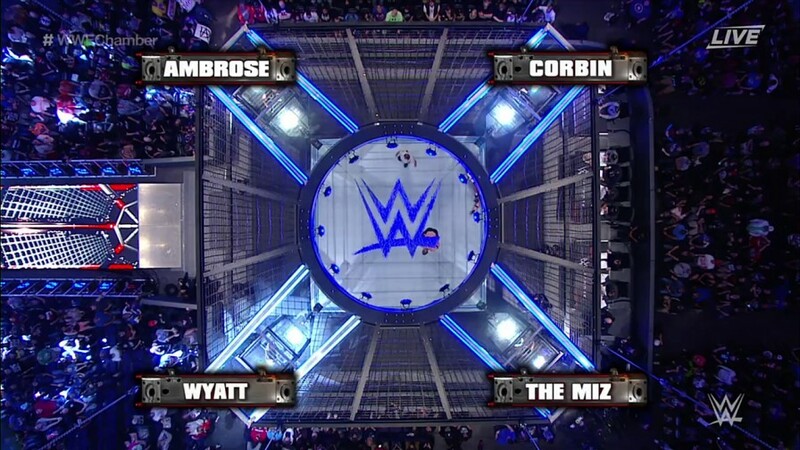 I friggin’ LOVE the new Elimination Chamber! Wider & Taller! (much like how the new HIAC is much taller than the ‘classic’ cell). Outside the ring used to be steel grates, it’s now black mats, which makes taking bumps far less dangerous but still maintains the EC look, so it’s win-win! We got to see multiple wrestlers (including Cena) jumping off the pods thanks to a less horrendous landing. The Wile E. Coyote cam shows parts of the EC roof light up when choosing who’s entering next! Looks awesome. Great shot of the perspex window with the WWE logo on it too. The corners of the EC (where the more spacious pods are) now have large perspex windows behind the wrestlers (used to be chains). The top of the pods are now flat grates, big enough for two people to stand on (and do spots!). Above the pod is the same large perspex window, which is held there firmly, with lights around it. So there’s more places wrestlers can fight, and more places you can see into the chamber clearly! The old EC. Looks really plain by comparison, doesn’t it? The new EC again. It’s 10/10! Fantastic upgrade all round. I won’t spoil it but the match itself was highly enjoyable, recommend watching!